These big boys are great on a whole-grain bun with fixins or alone on the plate with some sides! Mix together the soy sauce, water, ketchup, BBQ sauce, and pepper. 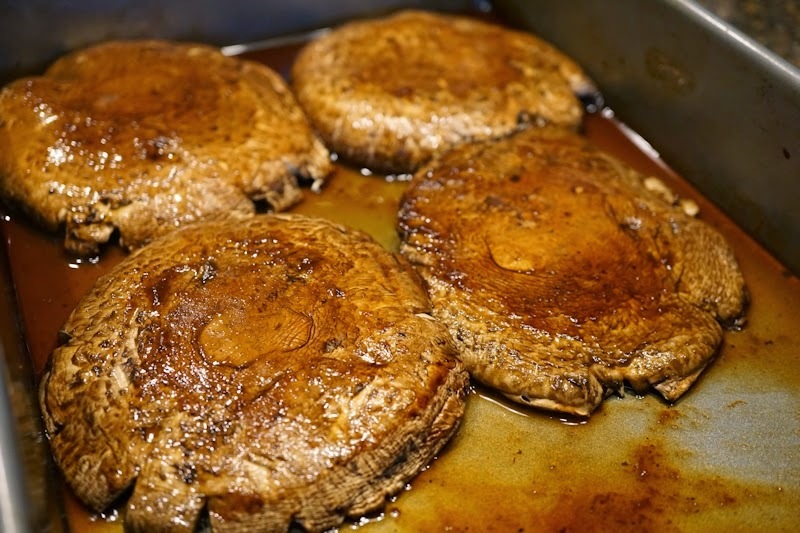 Place the portobello mushrooms in an oven-safe baking dish (that will fit all four if possible). Pour the marinade over them (tops and bottoms). Let them marinade for about 20 minutes. Then, preheat your oven or toaster oven to 375 degrees. Bake them for about 15-20 minutes or until they are tender. If you are putting them on a bun, shake the marinade off well before putting them on the bun so they don't soak it down.